It’s the most important part of every tournament. Each participant should take the time to read and understand the tournament’s rules before the Captain’s meeting on registration day. Have questions? 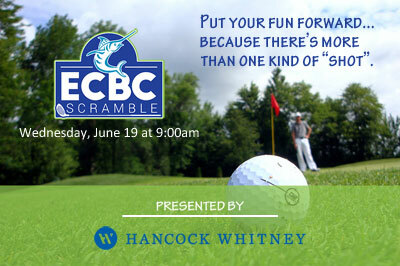 Call Julia at 910.264.3947 or email tournament@fishecbc.com. Rules, including published rules in print or on the ECBC website (fishecbc.com), are subject to change without notice. It is the sole responsibility of the participating anglers, captains, crews and guests (“Participants”) to know and abide by the Tournament Rules as published and as amended during the Captain’s Meeting. By entering the Emerald Coast Blue Marlin Classic at Sandestin® and paying entry fees, Participants agree to abide by the Tournament Rules and accept decisions made by the Rules Committee as final. The Emerald Coast Blue Marlin Classic at Sandestin® is a fishing team competition. Participants enter at their own risk, and understand the possibility exists that there may be no winners if no qualifying fish are caught. The Captain’s Meeting takes place between 6:00–7:00pm during Registration. Attendance by the Boat Captain or another registered member of the team is mandatory and sign-in is required. Judging in the ECBC is based solely on tournament rules. Teams are encouraged to comply with all Federal and Florida state laws regarding fishing licenses, size limits, bag limits and any other regulations that may apply. For information regarding Florida Saltwater Fishing Licenses refer to www.myfwc.com/license/recreational/saltwater-fishing/ or call 888.347.4356. For information regarding Federal HMS Permits call 877.376.4877 or refer to hmspermits.noaa.gov. For questions regarding tournament registration, rules, marina slip reservations, payment or angler changes email tournament@fishecbc.com or text/call Julia at 910.264.3947. For marina or dockage specific questions email dockmaster@sandestin.com or call 850.267.7773. For tournament communications during check-out, check-in and access to the weigh station use VHF-72. If you require fuel, ice, or have other marina needs upon returning from fishing use VHF-10 or call 850.267.7773. The Tournament Organizers may cancel any tournament fishing day if, in their best judgment, unsafe conditions exist. Resumption of fishing is announced by 6:00am the following morning on VHF-72. A resumption of fishing announcement by the Tournament Organizers does not ensure the safety of any Participant; whether or not to fish must be based solely on the team’s own judgment taking into consideration the prevailing conditions, the seaworthiness of their vessel, and the crew’s seamanship skills. One day of offshore fishing or any part thereof, by at least one-third of registered boats constitutes a complete tournament. Tournament fishing starts at 12:00pm on Thursday and continues through Saturday at 6:00pm. No lines or teasers targeting tournament species may be in the water before start of fishing, but bait fishing is allowed. There are no boundaries. The ECBC tournament organizers expect the highest level of integrity and sportsmanship from their Participants and for them to compete in the spirit of the IGFA Saltwater Equipment and Angling rules. Any member of the team may set the hook and fight the fish, or may set the hook and pass the rod to another team member within the first minute, but the rod may only be passed one time; the angler must then fight the fish unassisted. Fish caught not according to tournament rules are disqualified. Fish under minimum weight and/or length and any fish weighed over the limit do not qualify for points. If your intent is to release the billfish, do not remove it from the water—if you do (as recorded on the video) the billfish is disqualified. Throwing a boated blue marlin overboard because it is under length or in favor of a larger fish is strictly prohibited. Mutilated fish, mutilation defined as anything that impairs the fighting ability of the fish, are not weighed. Fish must arrive at the scales in edible condition. Refer to the following table and diagrams for eligible species, requirements and points. Tournament fishing begins Thursday at noon with a “shotgun” start. Boats may leave from any marina, but must be behind “the line” by 12:00pm. The exact coordinates of the line end points are given at the Captain’s Meeting. At 11:45am, ECBC Officials start an alphabetical roll call on VHF-72; please respond when you hear your boat name called. At noon, Tournament Officials announce the start of the tournament. Boats wishing to depart after 12:00pm must call Tournament Headquarters at 910.264.3947 to check out, and an ECBC Official must have eyes on your boat before noon on Thursday. If you return on Friday or before 4:00pm on Saturday, you must contact Tournament Headquarters at 910.264.3947 to declare you are coming in to weigh fish or turn in scorecards. Otherwise you must be under the Destin Pass Bridge by 6:00pm on Saturday. Tournament Officials are stationed at the Destin Pass Bridge on Saturday between 4:00-6:00pm in a boat flying an ECBC flag and count down to 6:00pm on VHF-72 then announce that boats that have not passed cannot weigh fish or turn in scorecards. As you pass under the bridge the ECBC boat will record the time they visually saw you pass, but you must also check in with the ECBC Boat on VHF-72. The time you pass under the bridge is your time of return and is used to determine the sequence in which fish are weighed and may be used to break ties in the weight of two or more fish or in release points. Once you are checked in, the Weigh Station contacts you on VHF-72 with instructions to either stand by, return to your slip or back into the scales. A billfish is considered caught when the leader connection is wound to the tip of the rod, or a team member touches the leader. The billfish is considered released when, after being caught, the fish is no longer connected to the line; tagging is not required for points. Any blue marlin boated must be weighed. All billfish released or boated must be recorded on the Billfish Scorecard in the sequence in which they were caught; scorecards must be signed by the Boat Captain indicating they agree to the information as recorded. Detailed instructions are printed on the scorecard which is included in the team envelope handed out at registration. The Tournament Designator handed out at registration must be included in the video. The same designator is used for all three days of fishing. This ensures the fish was caught during the ECBC tournament. The video must show the billfish species, the billfish being caught (leader connection touches the tip of the rod or a team member touches the leader), and must show the billfish being released (no longer connected to the line). TIP Record as many of the billfish’s fins as possible; this allows us to properly identify the billfish species. Billfish Scorecards and release videos must stay together with a member of the team and be presented to the video verification judges at the marina before the close of the weigh station on Saturday night along with the camera that took the video and any cables needed to view the video. Videos must be in digital format, preferably on a SD or micro SD card. We must be able to transfer your video to a laptop computer for viewing. Review your scorecard and be sure anglers, species, dates and times are recorded. Make sure your scorecard has been signed by the boat captain. Have any cables needed to view the video on a laptop computer. Cue your video to the start of the first release. Send no more than two team members. If the billfish species can be identified, it receives the number of points for that species. If the fish is clearly a billfish, but the species cannot be identified it receives 175 points. Billfish is removed from the water for any reason other than to bring it to the scales to weigh. Tournament designator is missing from the video. Evidence of the billfish being caught and subsequently released is missing from the video. Video shows a tournament rule infraction. If the video clearly shows an uninterrupted recording of a billfish being caught and released, but is interrupted before the GPS date and time are recorded, or if the date and time cannot be read from the GPS, the following rules are used to determine date and time of release. Times are recorded to the full minute with no rounding up or down of seconds. If, after releasing the billfish, the video continues uninterrupted and includes a readable shot of the GPS, the date and time on the GPS are used as release date and time. In the above situation, if the GPS shows the time but not the date, the GPS time is used and the last day of tournament fishing is used as the release date; if the GPS shows the date but not the time, the GPS date is used and the time you passed under the Destin Pass Bridge is used as the release time. If the GPS is not recorded, or the video is not continuous, the last day of tournament fishing is used as the release date and the time you passed under the Destin Pass Bridge is used as the release time. Before gamefish are offloaded from the boat, a Tail Tag must be filled out for each fish to be weighed. The team should enter everything on the tag except for the time, weight, length and signature which are filled in at the scales. Six tail tags are included in the team envelope handed out at registration. All fish must be weighed at Baytowne Marina and must be brought to the scales on the boat from which they were caught. The scales are open Friday from 4:00pm–9:00pm and Saturday from 4:00pm–10:00pm. The weigh station remains open on Saturday until all fish are weighed; the weighing of blue marlin takes precedence over gamefish. Fish are weighed to the tenth of a pound. The angler must remain with the fish throughout the weigh-in and before leaving the scales must verify weight information and sign the Tail Tag. All fish weighed become the property of the tournament. The Weighmaster has the right to refuse to weigh any fish that does not meet tournament requirements. On Friday — “weigh-in time” is the time the fish was weighed. On Saturday — “weigh-in time” is the time the boat returned under the Destin Pass Bridge. All registered Participants agree to submit to a polygraph examination if requested to do so by the Rules Committee. Failure to comply or failure of the test results in disqualification of the entire team. Disqualified teams forfeit any and all entry money, prizes or prize money and, at the discretion of the Rules Committee, are refused entry to future ECBC tournaments. In consideration for being accepted for participation in the Emerald Coast Blue Marlin Classic at Sandestin® (the “Tournament”), the Participants hereby release, forever discharge, and agree to hold harmless the Tournament, Sandestin® Golf and Beach Resort, Sandestin Investments LLC, Baytowne Marina, Tournament Control™, Inc., and their respective officers, directors, employees, agents, volunteers, partners, members, and/or attorneys (collectively the “Releasees”) for any and all losses, claims, or demands of any kind or character whatsoever arising from the negligence or gross negligence of the Releasees or from any other cause connected with or occurring during the Tournament. The Participants expressly acknowledge that he/she has received, reviewed, and agrees to abide by the Tournament Rules and this Release. Furthermore, the Participants expressly acknowledge that activities relating to deep sea fishing are extremely dangerous and involve the risk of serious injury or death. Having so acknowledged, the Participants hereby assume full responsibility for the risk of bodily injury or death due to the negligence or gross negligence of the Releasees or any other cause connected with or occurring during the Tournament. All disputes, protests, claims, differences or controversies relating to any aspect of the Tournament, including, without limitation, Tournament Rules, must be submitted to the Rules Committee no later than thirty (30) minutes following the close of the Weigh Station or are deemed waived. All such disputes must be presented in writing along with a non-refundable fee of $500 cash. All such disputes shall be decided by the Rules Committee and shall be final and binding upon all parties. In the event the Rules Committee cannot render or refuses to render a final and binding decision with respect to any dispute, protest, claim, difference, or controversy under review, the matter shall be resolved by binding arbitration under the commercial arbitration rules of the American Arbitration Association. The decision rendered in arbitration shall be in writing and shall be final and binding upon all parties. The parties shall have no further recourse, except as provided for by the commercial rules of the American Arbitration Association. Once the decision is rendered, it produces the effect of “res judicata” and the parties shall fully comply with the decision without delay. The Participants specifically waive any right to a trial by judge or jury. The Participants specifically agree and consent to the use of any photograph, motion picture, video or audio recording in which they appear or are heard, by the Tournament, Sandestin® Golf and Beach Resort, Sandestin Investments LLC or Tournament Control™, Inc. for any purpose whatsoever including, but not limited to, resale, advertising, and promotional material without compensation or restriction of any kind.